Loyalty programs are often part and parcel of a comprehensive customer relationship strategy. So welcome to our loyalty marketing best practices section. Loyalty programs have been used in commerce for many years, originating in Germany where price based competition was disallowed by governmental restrictions in certain industries. 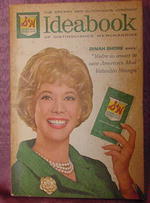 In the 1950s, S&H Green Stamps rewarded grocery store and gas station customers with stamps redeemable for appliances and other merchandise. The modern day loyalty program was launched in 1981 by American Airlines, and was quickly duplicated by other airlines and other hospitality industries including hotels, car rental companies, and credit card organizations. Retail loyalty programs evolved when progressive retailers recognized that without a "customer identification tool," they were unable to recognize individual customers and reward them for desired behavior. This was in obvious contrast to banking and telecommunications industries, among others, that have a customer database as part of their regular service offering. Both businesses and consumers have recognized the value of loyalty programs. Only 12% - 15% of customers are loyal to a single retailer, according to the Center for Retail Management at Northwestern University. But that small cadre of shoppers generate between 55% - 70% of company sales. Some food retailers find that as much as 65% - 95% of their sales go to members of loyalty programs (53% of food retailers offer loyalty programs with 3/4 of program customers using their loyalty cards at least weekly and 88% at least once a month). In general, loyalty programs are often developed with good intentions but unclear objectives. While retail loyalty programs have many purposes, the greatest value that is created for retailers is the ability to identify individual customers and to measure and understand their individual behaviors. This consumer behavior data far outweighs the "currency" value of providing consumers the opportunity to build a reward opportunity by shopping at one particular retail banner. This opportunity is often misunderstood by retailers and consumers alike. These loyalty program benefits form the basis for all loyalty program initiatives. For loyalty programs, communications used to focus on tangible benefits - what we call the "ER" words. That is to say, "Our program is..." 'bigger,' 'better,' 'faster,' 'easier.' These words have ceased to have meaning. Everything works now. These are the table stakes. As such, the market has changed in that consumers are demanding more. Rewards have evolved in the marketplace from being a nice little extra for one's loyalty to being perceived as an entitlement (partly the result of the commoditzation of loyalty programs). Concurrently, consumers have shifted, to some extent, away from a desire for possessions to a desire for experiences - partly due to changing demographics. Overall, consumers are looking for the meaningful (which includes value and relevance). The rising tide of expectations necessitates that loyalty marketers develop truly innovative loyalty programs, utilizing loyalty marketing best practices. In reading through this page, and this website for that matter, keep in the back of your mind the question of how your program can tap into not only changing lifestyles, but changing attitudes. The answer is not just in the rewards catalog, but in understanding the fundamentals of loyalty marketing. It is estimated by Colloquy (2015) that there are over three billion loyalty program memberships in the US (a 26% increase from their 2013 census) - with the average US household participating in 29 programs. Approximately 58% of those memberships were inactive (defined as no engagement within a 12 month period), bringing the average household active participation to 12 programs. That is a lot to compete with. Not surprising, loyalty varies across industries. As reported in the New York Times, Forrester Research found that across 12 industries, retailers inspire the most loyalty while others, like TV service providers and internet service providers proved more fickle. Most interesting is that "A whopping 98% of USAA's credit card customers would consider the firm for another purchase, which ends up 24 percentage points higher than the average across credit card firms." This research only reinforces the critical importance of understanding the fundamentals of loyalty marketing. Many confuse "loyalty" with "rewards." This is a fundamental mistake of many marketers. Loyalty denotes advocacy and commitment not points. As such, let's start with a primer on loyalty. Read through the embedded Power Point document as it is the best explanation of loyalty marketing that we have ever run across and, surprisingly enough, the fundamentals of which, are not well understood by the executioners of some of the best known loyalty programs. This abridged Power Point presentation was developed by Wunderman's Loyalty Marketing Practice. We strongly encourage you to take a peek. Air Miles: "Help Collectors enjoy life more, everyday"
Your program's positioning affects everything you do from how you communicate, to what you offer, to how you want to be perceived. We can't emphasize this enough. Develop a vision or positioning for your program, before you even begin developing the mechanics. What do you stand for? Regardless of how you develop your loyalty program - based on hard benefits (e.g. a currency) or soft benefits (e.g. access, special privileges, exclusive partner benefits and offers) - make sure there is alignment between your customer and the loyalty program i.e. the program supports the customer experience and not the other way around. Below you will find a comprehensive loyalty checklist developed by a top Ogilvy & Mather strategist, Michael Szego. Keep in mind, even following this check list, you can never have the perfect program - you can't unless you change and evolve with the market and your customer. - What is the competitive activity? - What are the core objectives of the program? - What do we want the marketing database to do? - How will this program fit with the brand vision? - How will this program fit with the company culture? - Are there any employee issues that must be addressed? - Are there any technology issues that must be addressed? - Why might this project not work? - What is our current sales channel strategy and how will this program affect/enhance it? - What human resource needs will be created by this project? - What financial resources are available to execute this project? - Who will be involved in this project? - Describe the core, highest margin customer? - How will success be measured and over what time frame? - What are the best practices in the field? - What is the number one complaint from our customer feedback system and can this be addressed with the planned loyalty program? - What are the objectives of this program? - What are the target groups for the program? - Will the needs of this group also satisfy the needs of our top customers? - How will it increase your differentiation from the competition? - How will customers be rewarded? - How will the data be captured? - How will the data be analyzed? - How will the data be actioned? - Who will own the customer relationship? - How will the program be structured? - Will there be a "currency" of the program? - How will customers enroll? - How will customers earn rewards? - How will we communicate with customers? - Who will serve the members: outsource, 1-800, web site, etc. - What will be our problem resolution strategy? - How will customers redeem benefits? - What performance standards must the program live up to? - What will be our contact strategy for our program members? - How do you build evangelists? - Potential to include as part of employee evaluation? - Where will the data be stored? - How will the data be accessed? - What types of statistical analysis will be required? - Will the data be delayed (for how long) or will it be real time at POS? - Will the data be delayed (for how long) or will it be real time at head office? - Working with agency to develop marketing "look and feel"
One common mistake Marketers make is in currency selection. Too many decide the value proposition prior to customer research. Ask the question as to whether the currency fits the frequency and the size of the transaction. And does the currency fit with the brand i.e. cash is a pure discount? In general, many retail loyalty programs are converging into a blend of each particular value proposition. 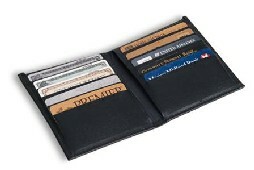 That is, many programs offer points, rebates, discounts or a combination of the program offerings. Although similar to discount programs, which are immediate rebate programs allow participants to accrue financial benefits from purchases that are saved up and redeemed after a set threshold or time period. These benefits can be tracked over time but often involved a rebate of a percentage of total purchases over a month or quarter. The rebate is often in the form of a gift certificates to drive customers back to the store. Rebate can be in the form of a dollar value or a percentage value. Rebate/Cash back programs have become increasingly popular because while avoiding immediate discounts, consumers often feel they are accruing value. Although the program can be expensive, the rebate dollars often drive customer back to the store. As is implied by the name, discount programs are programs that offer a specified percentage off (or a dollar amount for large purchases) of the retail purchase price. This can be product specific or offered on the total basket of purchases. The distinction from rebate programs is rather than accrue the benefits, discount programs typically apply instant benefits to participants at the point of sale. Discount programs are typically the easiest to administer loyalty program offering. However, discounting products for members is expensive and it is difficult to exit such a program once it is launched. An example of a successful discount program is Canada's oldest, best known, best loved reward program - Canadian Tire Money - often suggested as a replacement for the nation's weak currency. 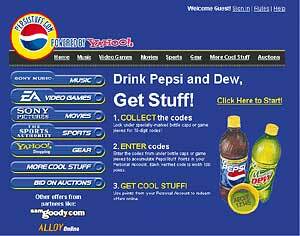 Fifteen years ago, they were saying that private label retail programs were dead. Well, they are alive and well and there are a number of lessons we can take away from these programs. The first being that the "one product fits all" approach is no longer effective. This may be shocking news to some, and it doesn't matter what business you are in or the demographic of your customer; you do NOT need to treat all customers the same. Loyalty programs need to be designed with more targeted rewards; they need to communicate differently with different groups of members based on their value; and they need to provide greater value at higher customer value tiers, by rewarding best customers to encourage higher spending levels. Two private label programs of note are the Neiman Marcus InCircle Rewards program and the Saks Fifth Avenue SaksFirst program. Both have multiple tiers of earning, with earning accelerators built into each graduated tier. Same true for the Neiman Marcus program, with the added benefit of catalogs differing by redemption level. You don't have to recreate the Neiman Marcus catalog to be successful, but we would suggest that you start discriminating among your customers. Inherent in the loyalty level tiers of private label programs is the idea of recognition - "I'm a Gold customer." Customers wear their recognition badge with honor. After all, it says that "I am important." Just look at frequent flyers. How many brag about the fact that they are a Global Services member (United Airlines' top loyalty tier) or a "1K" flyer? The fact that you flew one hundred thousand miles in a calendar year, to us, is a badge of shame. But how many United Mileage Plus members wear that badge with honor? With each loyalty tier comes increased recognition. That recognition can be very tangible e.g. bonus points, or intangible e.g. early boarding on flights. For the frequent flyer, being able to board an airplane and hog-up all of the overhead storage space before any of the common travelers board, is nirvana. Or being able to go through an expedited airport security line is heavenly. Don't underestimate customer recognition. And here we are talking about the intangible. What are you doing to address your customer's craving for recognition? Remember, when airline Marketing folks said that they wanted to create a special line at the airport for their best customers, the airline Operations folks balked and said they were crazy. Don't take "no" for an answer. Your gross margin is going to dictate how much you have available for investment into your loyalty program for both hard and soft benefits. As a rule of thumb, if you have a 10%+ gross margin, you should be returning at least 100 basis points. Retail loyalty programs vary in terms of perceived value - the magical threshold tends to be around a 3-5% perceived value. A point-per-dollar offer tends to have a higher perceived value than gift certificate or discount offers (even if they have the same perceived value of approximately 3% - go figure). One item to consider with your program design and execution is whether you want to, as a matter of principle, encourage redemption or pray for breakage. A lot of programs cannot support redemption. Now, how's that building loyalty? Many Marketers don't ask the question. Ask! A survey commissioned by Maritz Loyalty Marketing reported that an overwhelming percentage of customers leave loyalty rewards programs because they grow tired of waiting for the points to accumulate. According to Maritz, 70 percent of those polled cite the length of time it takes to accrue points. In the 18 to 24 age group, the percentage is even higher, 79 percent. It takes six to nine months of spending on average to accumulate enough points to redeem them for merchandise or to receive a gift certificate. The study also found that individuals who earn more than $125,000 annually are willing to spend to accumulate points, but on the flip side, they're choosy and will drop a rewards program for another if they believe it's better. The survey focused on all loyalty rewards programs, but it leaned heavily on ones managed for card issuers. In developing any program, set goals as to what you want each loyalty tier to do e.g. spend goal. It is not unheard of to see 70% of sales being represented by loyalty program members. By having clear cut goals, that will ensure that you are marching toward success. And in coming up with your penetration goal, keep in mind, not everyone wants to join a loyalty program. A good 25% of the general population, in general, has no interest in loyalty programs. The balance of the population's interest ranges from very passive interest to active interest (what we call the "junkies"). IF your program is introducing a credit card component to the program, use a penetration pyramid as a great tool to benchmark success in enrolling members into the card program. Set goals for program performance (penetration, spend etc) overall, and by loyalty tier. Depending on the size, credit worthiness and level of engagement of the membership base, a well performing card penetration ranges from 20 - 40% (card penetration varies by loyalty level - so make sure you have goals against each level). For loyalty programs, the communications used to focus on tangible benefits e.g., our program is: "bigger," "better," "faster," "easier." These words have ceased to have meaning. Everything works now. These are the table stakes. Consumers are demanding more. Consumers have shifted from where we were leading up to the Internet boom; away from a desire for possessions to a desire for experiences or services that enhance their experiences. Going beyond points, discounts and cash back, many loyalty programs are incorporating experiential aspects into their program - an idea we have been huge proponents of since the early 1990s. The experiential takes many forms but the common thread is that programs, whether this has been developed internally or through partnering with 3rd party companies, deliver to its members unique lifestyle driven opportunities/access (many of them, once in a lifetime events). Masters of this have been American Express with their "Gold Card Events" and "Front-Of-The-Line" opportunities (advance ticket access, complimentary tickets); Visa with their Signature events, such as Finish Line Suite access at the Kentucky Derby; and now MasterCard Unique Experiences. Visa, as reported at the 19th annual Card Forum & Expo, found that their Signature "Access" attendees (Visa's experiential offering) spent more than non attendees (56% higher transactions, 50% higher spend). To reinforce the business case for such "experiences" or access, they also found that those who attended an event for the first time, demonstrated an 8% higher spend on their Visa Signature cards over the next 6 months. Given that these folks are already spending $27,000+ annually on their Signature Cards, this amounts to a pretty penny. Let there be no doubt that these experiential events can and do enhance brand/program advocacy and commitment. Having attended a number of these "events," we can tell you first hand, advocacy and commitment do increase e.g. attendees cutting up competitor card brands at the event (not us though). While many programs have been incorporating the experiential into their core offering for many years now, that does not mean that this offering concept has run its course. In mid 2007, Nordstrom Inc. rolled out a "tiered" rewards program, giving shoppers a chance to earn perks such as free shipping, specially packaged trips and access to "red carpet" events and store openings, if members spent enough on their Nordstrom card at the store. In the past, Nordstrom rewarded only with points toward less-glamorous spending credits. This competitive change was done in answer to other high-end programs which have been masters in the experiential realm e.g. Neiman Marcus and Saks Fifth Avenue. In fact Nordstrom restructured its program following six months of focus-group study and surveys. Its conclusion: Their customers are less interested in discounts and more interested in perks, such as attending Nordstrom grand opening celebrations, being pampered during private shopping parties, concierge services, access to limited issue designer products and free alterations and shipping. Neiman's InCircle program has 20 different tiers (with a top tier of five million points) which allows it to customize the experiential and reward offering based on value to the company. Saks Fifth Avenue offers four tiers. Both retailers tweak their offering every year to keep them fresh. Given that experiential opportunities really allow loyalty programs to enhance differentiation - a cautionary note is to check motive before you begin to add these types of experiences to your program. Are you differentiating because you can, or because it allows you to meet a customer need? We've all seen first hand, or heard the adage, that the top 20% of customers tend to produce 80% (varying by industry) of the profits. Not all customers are equally profitable - this we know. But did you know that the bottom 30% can eat up to half the profits generated by the others? Understanding the economic value of your customers, not just your loyal customers, can save you tremendous amounts of revenue and effort. As such, the idea of "firing" your most unprofitable customers is becoming more attractive. Even in the supermarket sector, by some estimates, seven out of every ten customers cost more to serve than they contribute in profits. 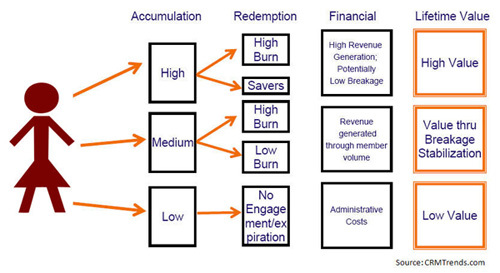 Understanding loyalty program economics is essential as running these programs isn't cheap. A study by McKinsey & Company estimated that a program's first year can cost as much as $30 million, with annual maintenance and marketing costs reaching $5 million to $10 million. There are so many elements that you should track ongoing (and our consulting team can help you ascertain what is important for success) - at a minimum, track these often forgotten elements. That will make sure your program evolves as envisioned. It will also keep you honest. All good things come to an end. While exit strategies should be planned for in the initial program construction, let's face it, some programs aren't designed as they should be. As such, if your program isn't achieving the financial returns envisioned, you may want to plan your exit strategy. 1) Sunset Clause: This can take a number of forms, but the bottom line remains the same - the program can end in a timely fashion, should you need it to. The first form is a definite end date written into the rules of your program. While you don't want to emphasize the end date in your communications, this end date can always be extended until the time you decide that the program needs to come to an end. Another common Sunset Clause, which also happens to help with financial liability, is to establish an expiration period for points earned. Like the first form of Sunset Clause, this too can be extended. 2) Timing: From the time you announce your program's termination, allow members sufficient time to redeem outstanding points - especially considering that some members may have made a significant commitment to your program. Give them the respect and sensitivity they deserve. 3) Communication: Everything comes down to communication. This will have a significant impact on how your customers and program members will perceive you going forward. A favorite positioning of ours for program termination is: "the promotion." When communicating the loyalty program's demise, don't refer to it as a "loyalty program" but as a "promotion." By definition "promotions" have an end. "Programs" on the other hand have a long life. So, set the tone with your communication. Be clear and precise with information as to the program's future, how to redeem outstanding points, and the timeframe involved. Use all communication channels available to carry this message. Cite program rules and emphasize your intention to continue to recognize and reward good members in the future. Perhaps allude to future programs/promotions. Don't apologize or offer excuses. Concentrate on the facts. 4) Be Generous: This is your opportunity to turn a negative into a positive. Consider topping up member accounts to the next redemption level. You want members to continue to have good will toward your organization. Consider a small gesture of appreciation e.g. an additional discount or coupon. Now is not the time to be cheap. You are messing with member "bank accounts" (many program members consider their point balances like cash), so don't leave them feeling gipped. For loyalty marketers, breakage is probably the least understood aspect of their loyalty program - after all it relates to finance, not marketing. As it turns out, breakage and the affects it has on one's loyalty program should be well understood - anything less is performing a disservice. While proactively managing breakage costs is critical; understanding its affect on revenue is even more important. Accounting rules have implications. They typically state that the full amount of a point is not realized at earning but the deferred revenue and breakage are recognized at redemption. Depending on how your organization accounts for revenue recognition, there maybe amortization implications as well. Know your P&L. A point not broken is a liability. And a point broken doesn't necessarily equate into full profitability. Marketing - targeting a specific member segment for marketing e.g. are you marketing to inactive members? Are your low spenders redeeming? It is critical to understand the impact program components have on breakage and understand the breakage impact of new strategies, as often times breakage can make or break one's marketing campaign and program. It is critical that loyalty practitioners spend some time with their finance partner to truly understand their program's P&L and the divers of that P&L. Marketers spend a lot amount of money in order to have their brand and/or product found (i.e. search, display). While this investment helps with acquisition, it doesn't help with customer engagement. Marketers recognize that their sites tend to lack stickiness. To boost engagement with the brand and to maximize acquisition dollars, Marketers are putting more energy and resources into making their sites more engaging. One tactic being aggressively deployed is gamification. Gamification is the process of using game dynamics and mechanics to engage an audience and solve problems. Gamification is not necessarily about building games - it is about applying game based thinking to motivate and engage consumers. 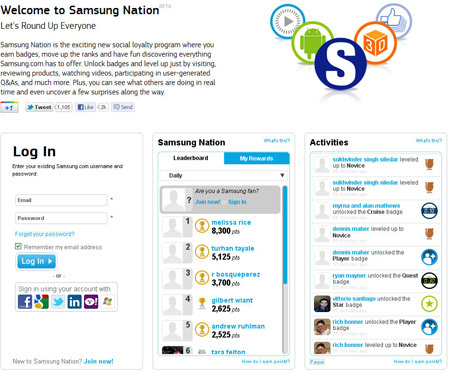 Gamification is NOT social games (e.g. Farmville) or console games (xBox) or casual games (e.g. Angry Birds). It is not gimmicks i.e. adding random badges, or creating an arbitrary points system. Gamification is leveraging innate human motivations. It is a strategy that engages users in a manner that they want to be engaged. It is about understanding user's wants and motivations. Gabe Zichermann describes it this way: "While most earn and burn programs rely on a steady diet of amazing rewards, scaled back over time to increase efficacy, gamified loyalty programs focus on non-cash rewards to engage and drive user behavior. We call it the SAPS model of rewards (Status, Access, Power and -- only then -- Stuff) -- and it radically changes the cost model for delivering loyalty." 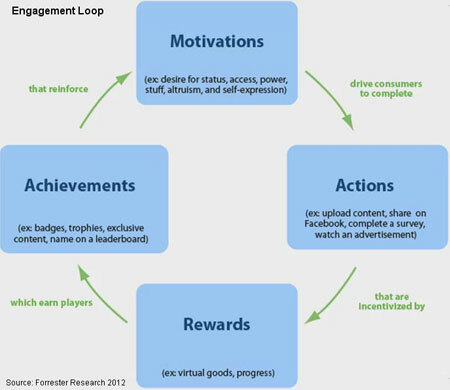 In order to better understand how gamification works, Forrester Research developed a nice "Engagement Loop" framework. As said before, Marketers need to start by understanding user motivations, and then pair the right actions, rewards and achievements to keep this loop moving around and around. Status/Badges - Things that allow people to establish their position in a hierarchy e.g. virtual image (badge) representing a certain milestone. 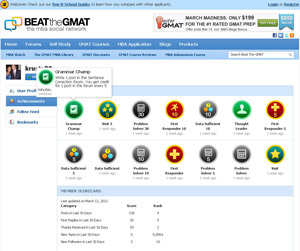 BeatTheGMAT (Rewards: Points; Achievement: Rank and Badges). 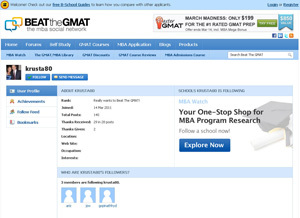 Created for those studing for the GMAT. A social network that uses game mechanics to drive participation by allocating points to users for completing desired actions e.g. posting a question in a forum or answering posted questions. By employing gamification, it allows Marketers to move from selling, to engagement. It is essentially the integration of game mechanics into marketing activities to make them more fun, to drive engagement and participation. Your brand's job is to lead users through this process, allowing your customers to achieve while having fun along the way. Read here on how to gamify your marketing. 1) Differentiation; Companies will continue to look for ways to differentiate their loyalty programs, while balancing program revenue and costs to achieve favorable economics. Kimpton Karma Rewards is an excellent example of program differentiation - focussed on enhancing experiences with meaningful offers vs.the earning of points. 2) Segmentation: Newer loyalty programs will be more segmented e.g. targeting life stages, lifestyles and interests. Existing loyalty programs will become more tiered i.e. concentrating resources on high potential and high value customers. 4) Instant Gratification. Whether that is instant point redemption at merchant partners, or removing friction from the customer's experience e.g. free wifi for guests.. Making it easier to redeem your points, program sponsors will begin to develop merchant relationships whereby loyalty program members will be able to convert their loyalty points on-site at the merchant partner for discounts, merchandise and/or services. 5) Multi-tender. Retailers, that in the past have tended to tie their loyalty programs to a private label or general purpose credit card, will begin to experiment with multi-tender loyalty programs. As a result of the Great Recession and legal requirements, the cold hard truth is that two-thirds of adults under age 30 currently have no credit cards at all. Retailers wanting to capture the Millennial market will have to become more inventive in order to capture this shopper. Using cash or debit will no longer preclude consumers from participating in a retailer's loyalty program efforts. American Express' Plenti, Walmart’s Savings Catcher app, and Target's Cartwheel app (discount loyalty programs) are all evidence of this emerging trend. 6) Mobile. As the retail commerce experience becomes more connected to messenger platforms and mobile wallets, loyalty will become more critical to get consumers to shop and pay with their phones. ACNielsen Homescan - A consumer panel which you don't join, you're invited depending on the research company's needs. Wonderfully executed program with great surprise and delights and member communication. Strong member affinity to the program - especially considering the high involvement required by its members. Harrah's Total Rewards - Competition from Native American casinos has forced established casino marketers to become more sophisticated than ever. Data collection is phenomenal - up to 85% of play tracked. Member benefits vary by property. Air Miles - The thousand pound Canadian gorilla. With 50-60% of Canadian households carrying an Air Miles card, they continue to be THE model of how to execute a loyalty program. UPromise - Tapping into the college savings craze, UPromise has a dream list of partners (online and off-line). Great concept and execution but we question its profitability. Loyalty 360 - A relative new comer billing themselves as "The Loyalty Marketer's Association;" they are taking the industry by storm.